Already cranking out tacos again. 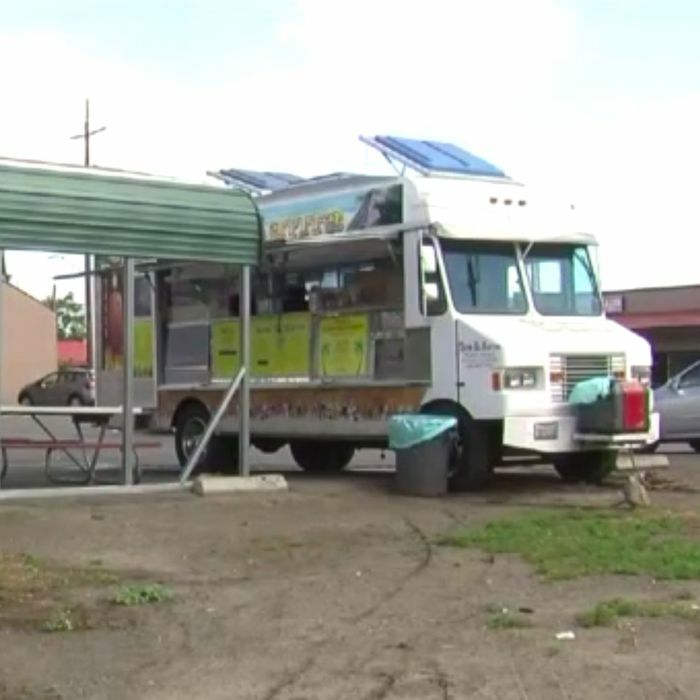 California police say a taco-truck customer upset about his order on Sunday took the logical next step and blasted the joint with his shotgun. The unidentified man, who apparently ate there with a friend, became “dissatisfied” at Tacos el Mayita, so he armed himself and shot at the employees who were inside. Luckily, he missed, so damage was limited to a few bullet holes in the glass window. It actually turned into quite the incident for Stockton police, who add that a drunk driver then crashed into the patrol car of the officer who responded to Tacos el Mayita’s call. This at least seems like strong evidence against open-carry restaurants, especially since the customers drawn to those establishments probably have better aim.